Federal law enforcement agents fly small planes loaded with gear to spy on Americans' cell phone calls. On Thursday, the Wall Street Journal, citing unnamed sources, revealed the extent of the program: Federal government gathers the data from Cessna airplanes and can cover most of the U.S. population. These devices typically trick phones into sharing its location data and revealing the phone's identity. CNNMoney has independently confirmed that at least one federal agency, Immigration and Customs Enforcement, has used this technology on planes since 2010, according to government documents. The planes carry a box that serves as a dummy cell phone site. That device mimics actual towers, duping nearby cell phones into connecting to it instead of a real phone company tower. 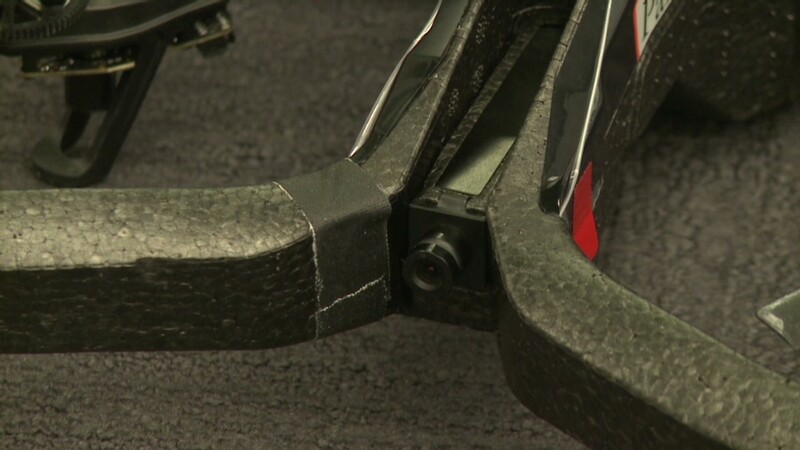 "This is a disturbing progression of the federal government's use of this technology, " Nathan Freed Wessler, an American Civil Liberties Union attorney in New York told CNNMoney. "What's different about this... is that it vastly increases the number of completely innocent bystanders whose information is being swept up by law enforcement." An official at the Department of Justice would not confirm or deny the use of flying spoof cell towers. He said any discussion would let criminals and foreign governments "determine our capabilities and limitations." The official told CNNMoney that any tactics used comply with federal law. This news is the latest revelation about the extent of surveillance on Americans by their government. 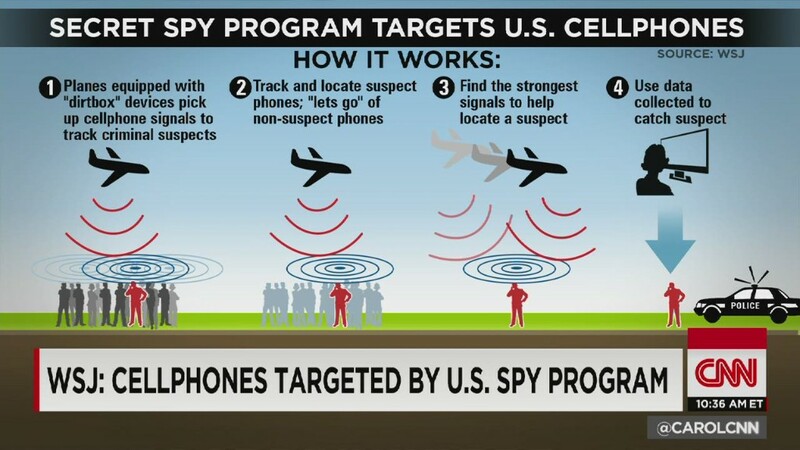 This type of spying has increased dramatically since the September 11, 2001 terrorist attacks. Local police and federal agents make widespread use of these types of devices. Public records, such as this Florida court transcript, have revealed that police use this technology to gather information about suspects. "Stingrays," for instance, are machines that also spoof legitimate company cell phone towers. Public records have allowed the ACLU to build a map that shows what states use Stingrays. Besides that information, though, little is known about how they're used or approved by the courts. Police agencies refuse to disclose information about the devices. Law enforcement agencies have non-disclosure agreements with the maker of Stingrays: the Harris Corporation based in Melbourne, Florida. News organizations and the ACLU have petitioned government agencies to learn more about the use of fake cell phone towers.